How we got Quick-Step Instant Staircases from 1 – 2 Leads per month to generate 12 -15 leads per month. Quick-Step Instant Staircases came to us at the end of 2016/ beginning of 2017. We had already built them a new website with lead generation in mind during 2016. The website was built on WordPress to make it easy for the company to edit and add content and images. In 2017 we approached them with a business proposal, asking them “what if we could increase the quotes on your staircase installation services?”. For those that aren’t in South Africa and in the construction industry, you might not know that Quick-Step Instant Staircases installs concrete floating staircases. The installation is a one-day installation, so with a team in place, they could get more staircases installed. All they needed was to get more leads and close the deals, so that they would be able to grow the team to get the job done. We approached them and asked if we could do their SEO and get them higher rankings. We would do this for a 5% commission on every lead that comes from their website, and might I add, only through the contact form. Yip, we left the email and telephone contact to them. So, anything that came through the contact form makes it a true website lead, with only human touch until they would respond to the email. So, what did we do to get them all the converting traffic and convert that traffic into leads? Since you are on our website I am sure that you know by now that we are a Search Engine Optimization agency based in Cape Town South Africa, which makes us focus on SEO for digital marketing. This is a comprehensive audit on the client’s website and the links that are pointing back to the site. I am not going to teach how to do this, as this post is about what we did to increase the traffic and leads to Quick Step Instant Stairs website. This process can take some time depending on the size of the website. Keyword research is all about finding the best keywords related to your industry which will drive traffic to your site. The key skill to have when doing keyword research, is to figure out which keywords are going to be “quick wins” and which ones are going to be “long term wins”. The way we determine this is we look for keywords for which the website is ranking on page one of Google, from position 5 and down, all the way to page 5. What this tells us is that the website is doing something right but there are some tweaks needed to improve the rankings. There are many ways to find what these keywords are but the best way is to look at Google Search Console, and then look at the search queries that fall under this = position 5 and down, all the way to page 5. Search Console is a tool that Google has to show you what is happening on your site as per the Google search engine. Normally a website that has had some sort of marketing or is SEO ready, will have Search Console and Google Analytics connected to it. If you don’t, you can always depend on tools like Google Keyword Planner, Semrush and Ahrefs, which are the best and most used tools to find keywords, in my opinion and many other SEO’s around the web. These tools help to find the keywords that will send you the most traffic and they tell you what the average difficulty would be to get the keywords ranked in the search engines. I am only going to talk about the Google Keyword Planner in this post as it is free and all you need is a Google account, like a Gmail. The tool will go off and find the keywords that are relevant to your niche or industry. You can then take this list and manually search them by opening an incognito browser to not track your past internet history. Paste each keyword in and then manually search for the website you want to rank in Google. Take note of the keywords that fall under = position 5 and down all the way to page 5. Try not to go overboard just yet with the number of keywords that you are going to want to target. Maybe take the first 20 to 30 keywords, especially the top ones. Now that you have the list of keywords, you are ready to make changes to the on page SEO aspects of the site. The way that I go about this, is I group the keyword into its relevant topics and then allocate the groups to each page. If you don’t have pages to allocate keywords too, please make sure to get those page created. Now that you have the keywords allocated, you are going to want to create a sentence that makes sense to a human and make sure to keep it under 65 characters long, so that you keep within Google’s guidelines. Note that Google has announced that you can now have up to 70 characters. The title tag is very important as it tells Google what the site is about before Google starts to read the site. The way we set out the title tags is to create a sentence with the main keyword for the page in the beginning of the sentence, keeping it under 65 characters. We set up the description tags using any of the lower keywords that maybe didn’t fit in to the title tags, and then finish off the description tag with a call to action to visit the site. Once the these tags are completed we let the site sit a bit and just monitor the rankings to see what keywords climb and which ones decreased. Most of the time we only get amazing jumps for our efforts. Want a full website audit and keyword search and On page SEO suggestions free of charge contact us here Please make sure to let us know what you want us to do for you! Now that we have the main on-page SEO stuff sorted out, we can move on to the “link building”. We created a persona for Quick Step and created a free Gmail account for him. Then we looked for websites that are in the construction niche and reached out to them to land a guest post on their site, with a link back to Quick Steps. This sends a signal to Google telling it that other websites are linking to Quick Steps’ websites. This is the key to obtaining better rankings! Okay so all the above has been sorted and the rankings were staring to improve, the only thing we keep on doing is building links. When there is a steady flow of traffic we can now have a look at the conversions that the site is doing. As mentioned, Quick-Step Stairs was doing one to two leads per month and now the site is ready to deliver more leads due to steady traffic to the site through our SEO efforts.. Create a contact form for any type of general contacts, as well as a contact form that is designed for a quote. This contact form asks more specific questions and Quick-Step Stairs requires plans, drawings or photos to be shared so that they can get a better idea of what their client has in mind. So we designed the quotation contact form to have these required fields completed before it can be submitted. We added some call-to-actions on the homepage and throughout the site. At the top of the page we added a click-to-call button as well as an email button. We added to the menu an item called ”Contact us for a quote”. In the middle of the home page we added a big call to action link saying ”Contact us here for a quote”. Furthermore we added a red bar to the bottom of the website with a call to action button saying “Provide my Quotation”, which takes the client to the quote contact form. This way a targeted visitor who comes to the site immediately sees what Quick-Step Stair does, and how to get in contact quickly. 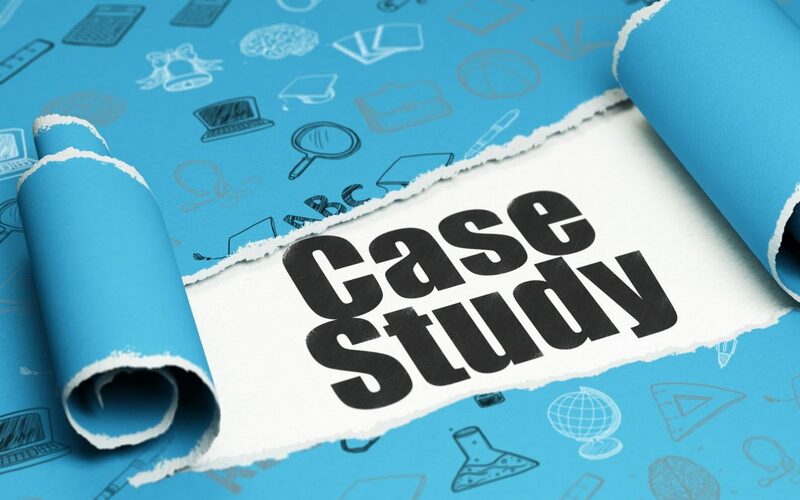 If you think the case study above is a lot of work or to confusing to do yourself, but you want it done for your business too, make sure to get in touch with us here to see how we can help you and if we are a good fit to work together.